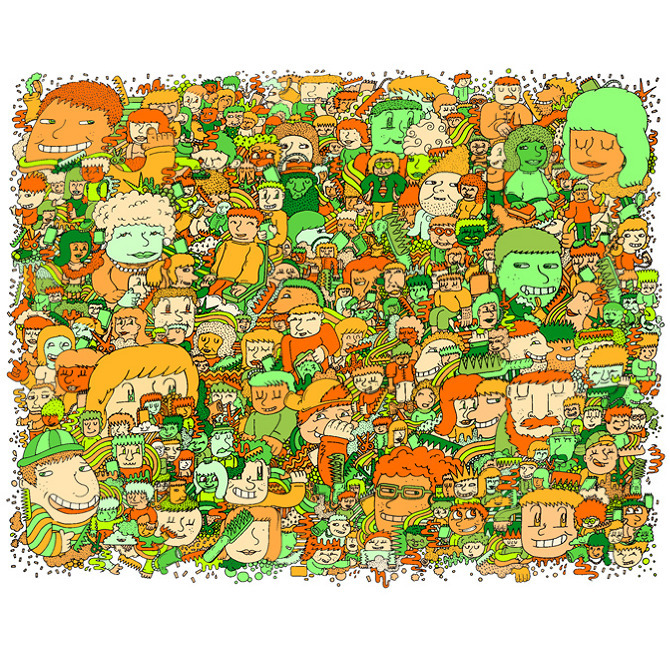 Sam Cox Is A Young Freelance Illustrator From Kent, England. 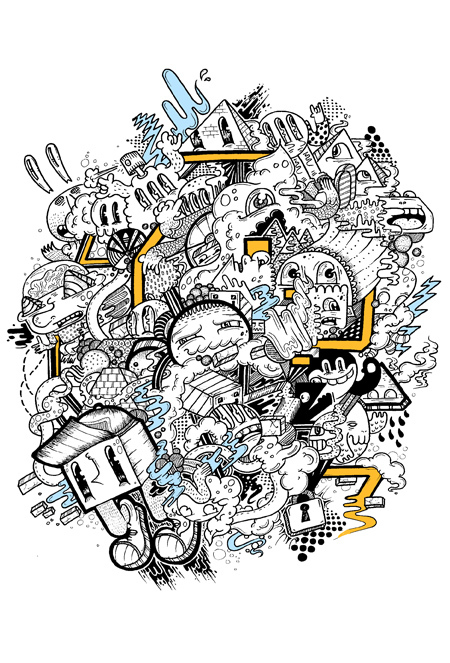 He Works With Sketchbooks, Digital Illustrations, Murals, Photography, Film, Animation, Graphic Design, Apparel Design, Paintings And Street Art. His Work Often Presents A Playful Blend Of Exciting Characters Situated In Surreal Environments With Unusual Themes That Frequently Reflect A Distorted View On Reality. 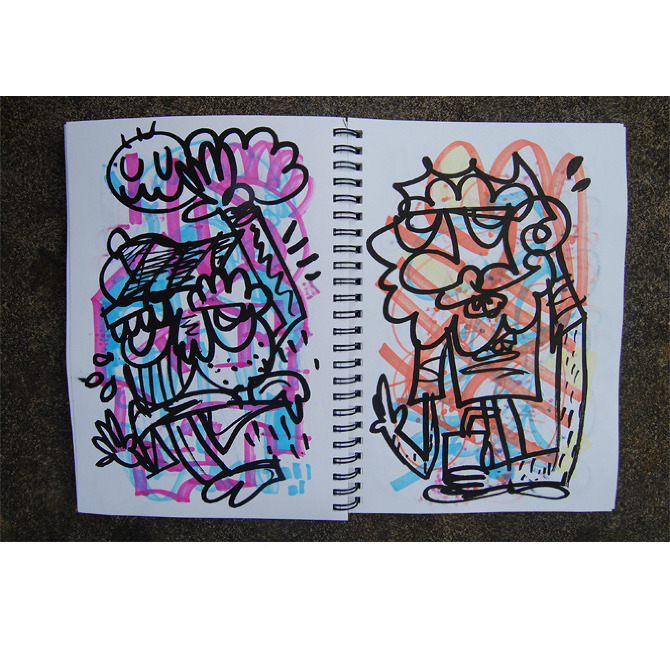 He Can Often Be Found Drawing Whilst Travelling; Creating Quick Compositions On Newspapers, Receipts And Anything He Can Get His Hands On, Taking Visual Quick Notes That Are Later Developed As Paintings And Digital Pieces That Are Often Reproduced As Prints. 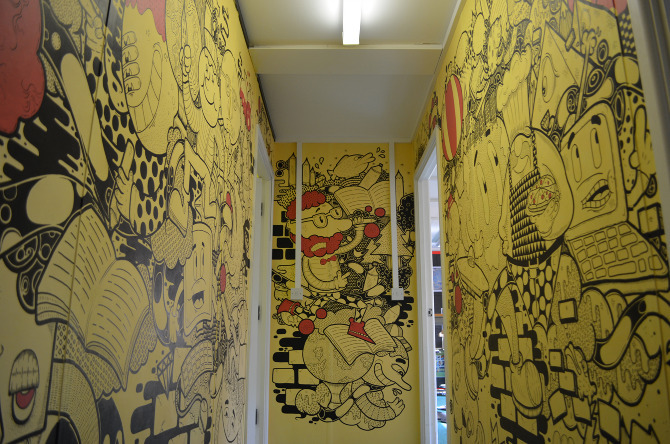 His Work Is Produced On A Range Of Surfaces, From Small Sketchbook Work To Large Scaled Murals. His Passion For Creating Work Has Leaded Him To Experimenting With Graphics, Animation, Typography, Photography, Video Work And Sound Producing. 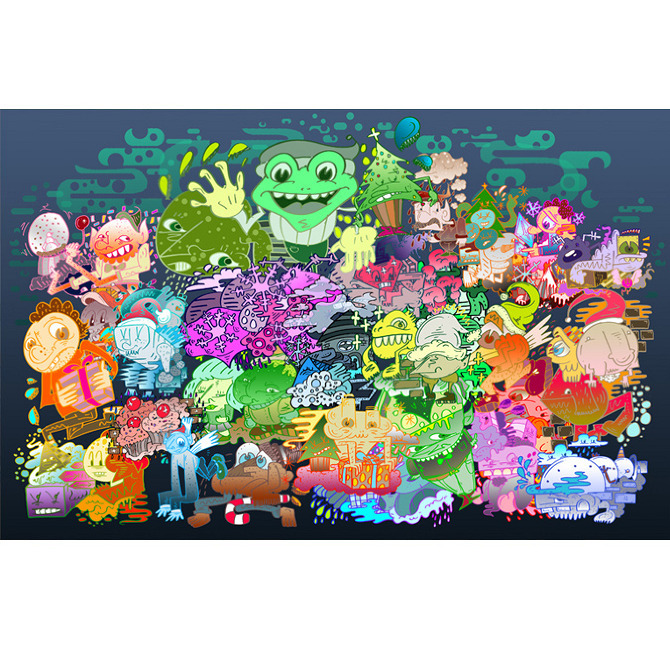 His Many Talents Have Given To The World Amazing Graphics That Are Simply Superb. His Clients/ Projects Include: Adidas, Playstation, Sony, Maynards, Sky Arts, Converse, E.ON, Courvoisier, The Outside Collective, Daylight Curfew, White Label London, RPM, Secret Walls, Young Creative Council, Scene 360, Pavement Licker, UnLtd, Fresh Media Design, Yourcupoftee, Doodly Doo, Grillstock, And Boff Clothing. Online Features: Daylight Curfew, XLR8R, Scene 360, Fatcap, Betype, And Illusion. 1. 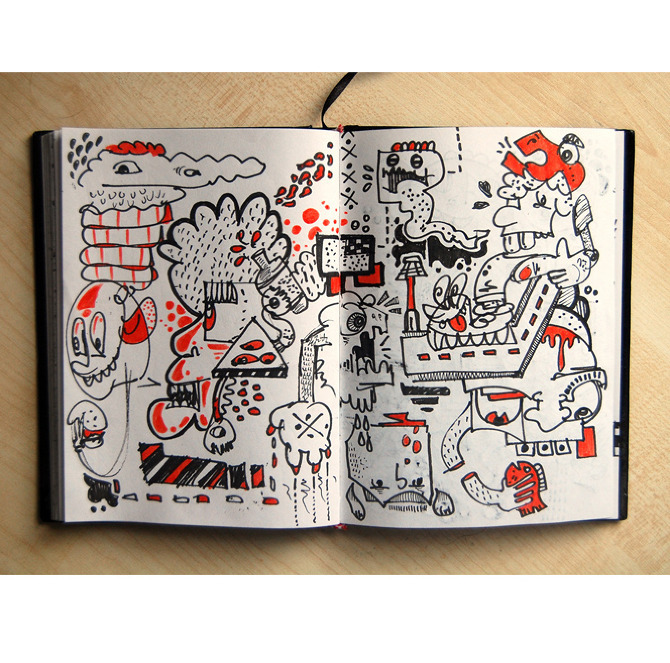 Personal Sketchbook Work- Drawings From A Car Ride. 2. Pattern Work On Street Furniture For An Art Gallery Based In Bristol. 3. Handdrawn Typography For ‘That Graphics Stuff’ Exhibition. 5. 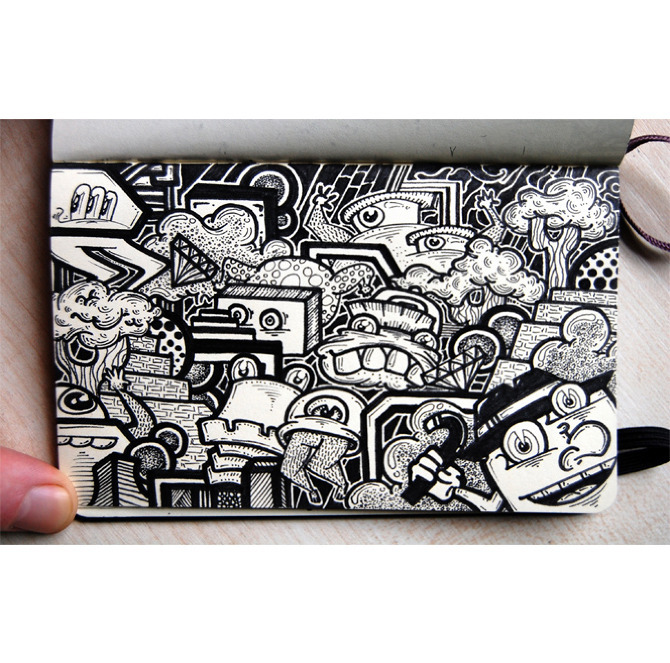 Personal Sketchbook Work- Daily Drawing Project. 6. Comic Book Cover Concept For ‘Bald Vs Hairy’. 7. Illustration Based On The Feelings Described By A Friend When They Were Ill.
8. Illustration Themed Around Clothing Line ‘Alley-Kats’. 9. Personal Work- Cagamosis Catastrophe. 10. Illustration For ‘Zine-ister’, Bristol Based Publication. 12. Christmas Themed Illustration Collage. 13. Haircut Themed Piece For Hair Salon ‘Mango’. 14. Personal Work- ‘Tuna Town’. 16. 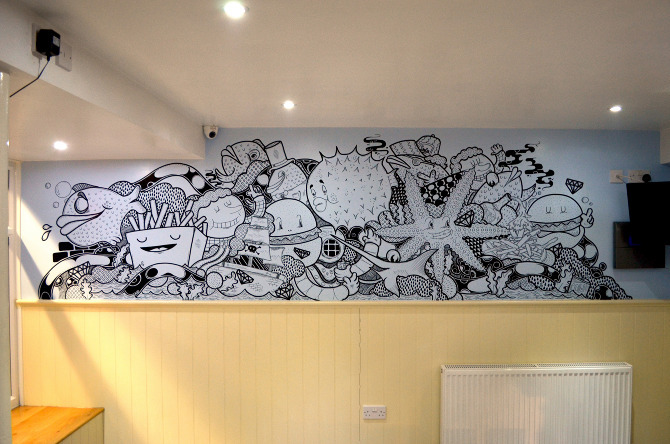 Mural For A Fish And Chip Takeaway Themed Around Fish And Chips. 17. 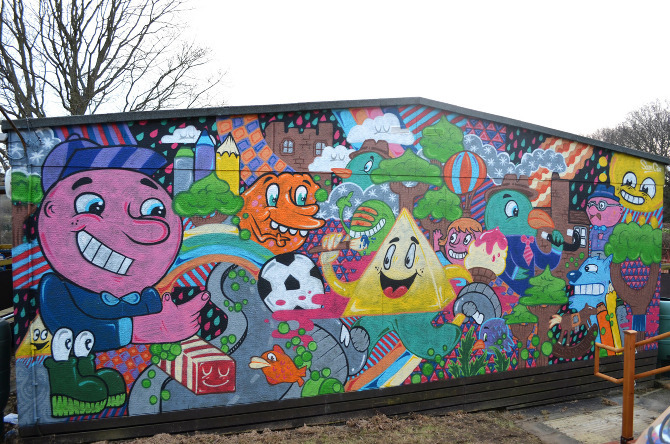 Mural For Children’s Primary School Based Around Education, Nature And Sports. 18. 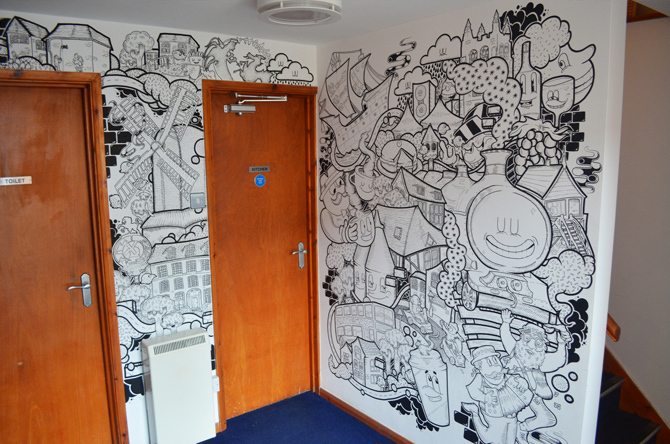 Mural Based On Tenterden Town And Its Surrounding Villages. 19. 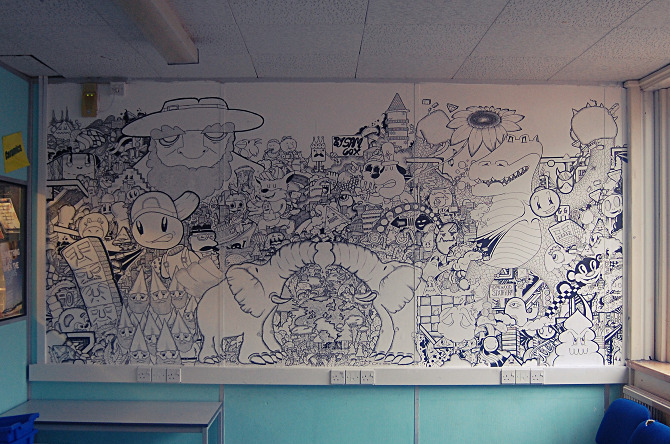 Mural For Children’s Secondary School Based On Education, Particularly Evolution, Science And Geography. 20. 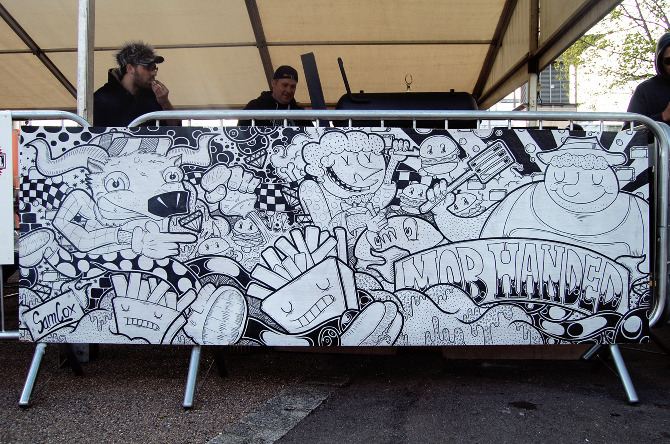 BBQ Stand Decoration For ‘Mob Handed’ BBQ Team At Grillstock Festival. 21. 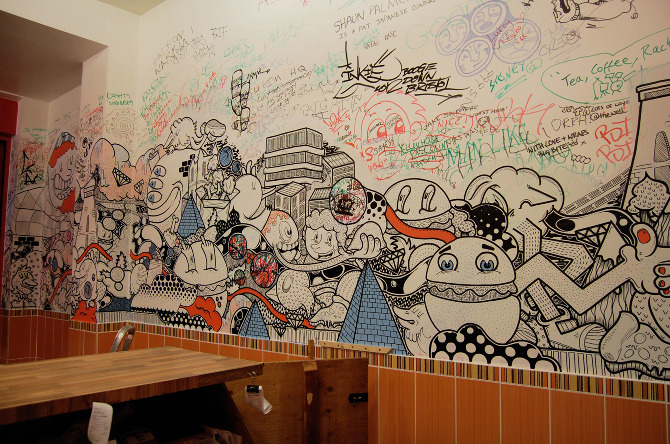 Mural For Fastfood Takeaway Restaurant ‘Big Bite’ Based On Kebabs, Burgers, Pizzas. 22. 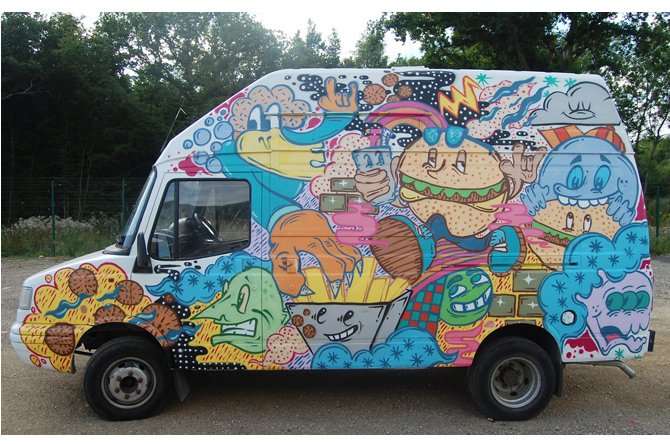 ‘King’s Kitchen’ Burger Van. 23. Mural Based On The Theme Of Giants And Gems, A Reflection Of Modern Society. 25. 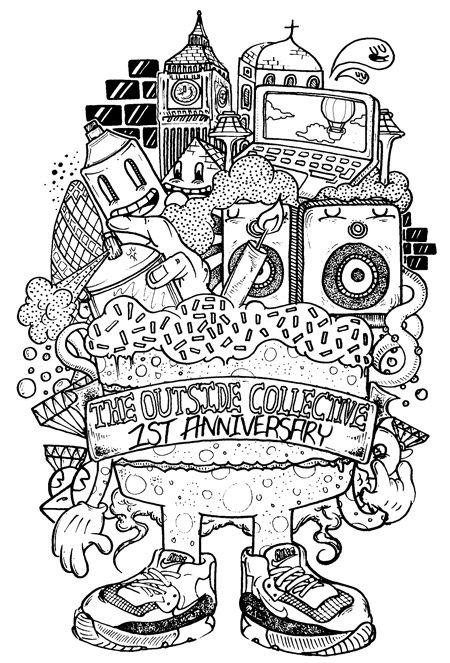 ‘First Year Anniversary’ T Shirt Design For The Outside Collective.